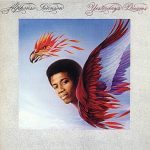 Yesterday’s Dream is the second album by Alphonso Johnson, released in 1976. Alphonso Johnson (born February 2, 1951) is an American jazz bassist active since the early 1970s. Johnson was a member of the influential jazz fusion group Weather Report from 1973 to 1975, and has performed and recorded with numerous high-profile rock and jazz acts including Santana, Phil Collins, Bob Weir of the Grateful Dead, and Chet Baker. Produced For – Zembu Productions, Inc.